You’ll know if you’re a Johnnie. St. John’s College has two separate campuses – one in Santa Fe, NM and one in Annapolis, MD. These two campuses have set curricula, exclusively focusing on the Great Books Program, so all students in the same class read the same books at the same time. St. John’s is definitely not for everyone! But for the student who loves reading and discussing classic works of literature, St. John’s will be the place where they finally realize they are not alone. I sat in on a freshman math course at the Santa Fe campus of St. John’s – yes, these are math classes taught directly from the original texts. So I joined 13 freshmen and their instructor – at St. John’s all professors are referred to as “tutors” – for a discussion of Euclid’s Proposition 13. The students – referring to each other as “Mr. Smith” and “Ms. Schneider” – actively took on the role of teaching each other how this proof worked. After about a half hour of discussion, mostly led by the students, which did not result in everyone understanding the proof, the teacher gently guided them by clarifying the example. At this point more students jumped in to participate in solving the problem. Because the curriculum is Great Books, most people don’t realize that about 40% of the classes are math and science. Students take math and science all four years, and lab courses for three years. They also take ancient Greek and French, which understandably help with the reading and interpretation of some of the Classics. 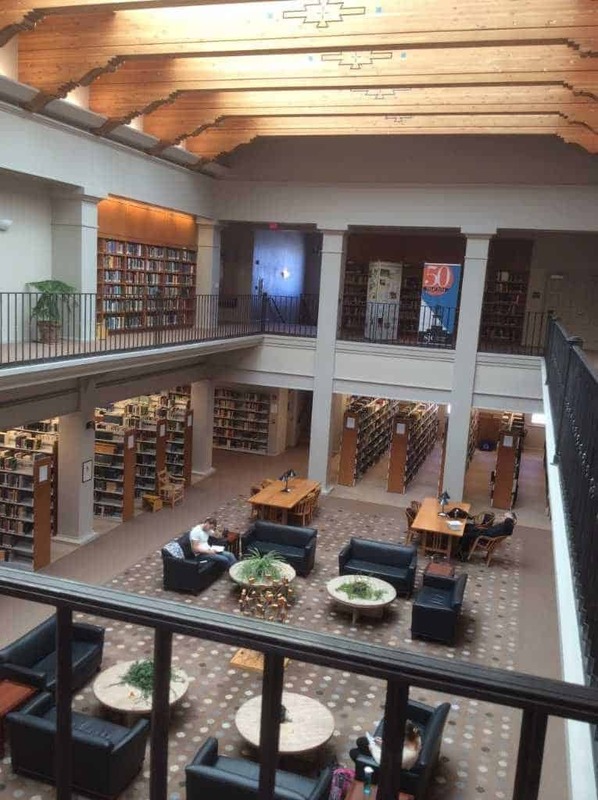 Many St. John’s students study for two years at their home campus, and then switch to the alternate campus for their junior year – in fact this is encouraged. Sometimes they return to their original campus for their senior year and sometimes they stay at the other campus. 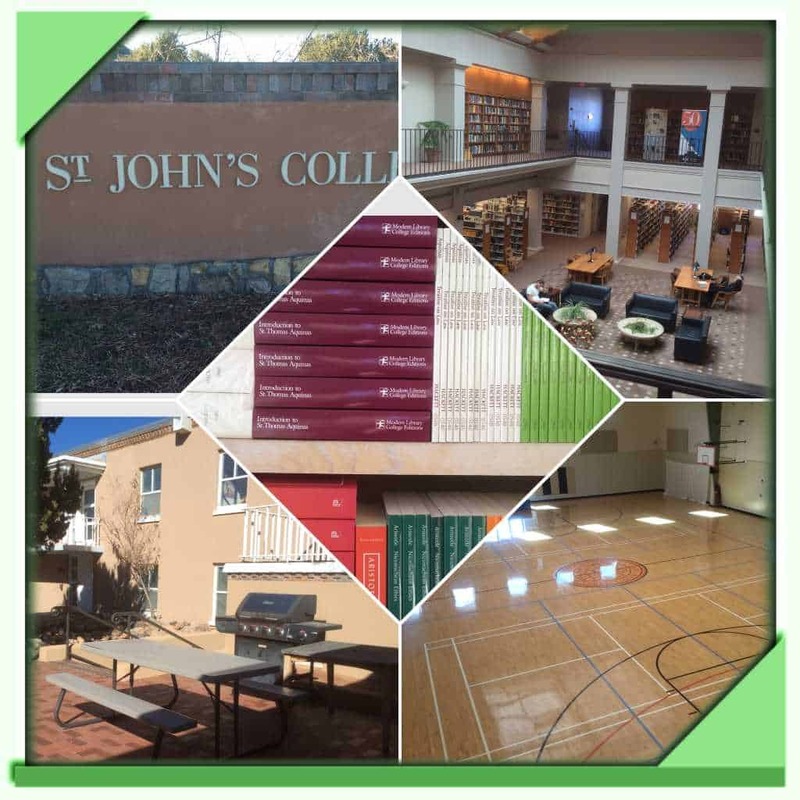 About 400 students live, study and play at St. John’s College’s beautiful Santa Fe campus. So who fits here? Students and staff say that those with an insatiable curiosity, who are researching stuff in their free time are a great match. St. John’s is especially good for quiet students, as the constant discussion and class participation draws them out of their shell. There are no tests at St. John’s, so test anxiety is not a problem here. There are no majors; St. John’s is a place where everything is connected and students seek the connections between previously disconnected subjects. There are narrative evaluations instead of grades. Students should expect to write one paper per class per term, and a 25-40 page senior paper with oral defense. The best fits are students who didn’t necessarily do as well in high school because they were bored and their passion wasn’t sparked. Sound familiar? You might be a Johnnie! Evelyn visited the Santa Fe campus, which is about 20 minutes outside of downtown Santa Fe, with beautiful mountains, hiking trails and a spectacular campus, in December, 2014. You can see all of the photos from her visit below. Don’t forget to check out the sister campus in Annapolis, which Evelyn visited in 2015 – write-up and photos are here.